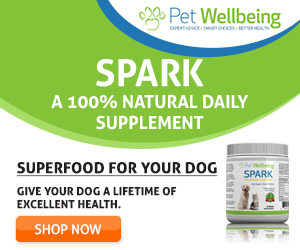 1.1 What are dog roundworms? 1.2 How do dogs get roundworms? 1.6 Are dog roundworms contagious to humans? 1.7 Can roundworms kill a dog? 1.8 How to get rid of dog roundworm? 1.10 What do dog roundworms look like? The adult roundworms live in the intestinal tract of dogs while feeding on undigested food. The presence of this worms causes malnourishment in dogs, mostly in puppies because they are most at risk of contacting roundworms. And because their system is not well developed like the adult dogs to fight the parasites. Roundworms are easy to contact, easy to spread, and hard to control. This is because a dog can get infected when they are still puppies and usually passed down to them before they are born because the mother passes it onto them while they are still inside. Your dog can also get roundworms around when they are puppies because of what they eat, like larvated eggs or from drink which have young worms (worm larvae). Your dog can also get roundworms from eating small animals infected with roundworm larvae found around the environment. The appearance of potbelly: If the roundworms in dogs became untreated, the worms begin to multiply, and where there is a presence of multiple adult roundworms, the result is an increase in the size of the dog belly making the dog look like it had enough to eat. A cough: While the roundworms increase in size, it also increases in quantity, the larvae can then migrate to the lungs of the dog, causing them to cough. The presence of roundworms in the lungs causes serious respiratory problems like pneumonia in dog. Diarrhea and vomiting: The presence of roundworms in the dog can cause stomach upset and digestive upset, causing the dog to vomit and have severe or mild diarrhea. Find out what type of worms your pet is carrying, you can do this by observing their vomit or poo. Confirm what you see and then call your vet and book an appointment. Your vet will use a microscope to examine the poo and determine what type of worm it is and best medication to use. Your vet will either give your dog medicine through the mouth or through a shot to kill the worms. It is usually recommended by vets to deworm your pets for the first time at about 2 to 3 weeks old. Take your pet to the Vet for checks. Do this at least twice a year. Make sure your dog is free from dog flea. Use flea collars or medicine on your dog’s skin. Use your Vet prescriptions to prevent roundworms and other types of worms. Take your dog to the vet for ProHeart (a six months injection). Use the 4 Ps, Pick up Pet Poop Promptly. Keep home and yard clean at all times to avoid your dog eating rotting food or dead animals. Clean up after your dog when you go for a walk. Often wash your hands after picking up dog poo. Are dog roundworms contagious to humans? Yes, but you have to follow some strict rules. If you don’t want your dog to spread worms or diseases around, avoid letting them lick or kiss you, and don’t let them lick or kiss your kids. Avoid sleeping on the same bed with your dog, provide a dog bed for them and always keep it clean. Avoid sexual activities with your dog because you don’t know what infections it has inside. Can roundworms kill a dog? If left unnoticed or untreated can lead to dogs death. Intestinal worms are mostly a concern, this worms can make an adult an dog sick in most cases, and can kill a puppy. Pneumonia which is most likely to kill a dog if not treated fast. These can kill humans also. Intestinal obstruction can cause stomach upset vomiting and diarrhea which can kill if it continues without treatment. Pot-bellied appearance making the dog look full but lacking required nutrients to survive. Infected dogs will usually not show any clinical signs. How to get rid of dog roundworm? You can do this by using some over the counter medications. Mebendazole: A treatment for roundworms in adults and children more than a year old. These works by depriving roundworms of sugar(glucose) which makes them lose energy supply. And it is recommended to take 1 tablet twice a day. Piperazine: These works same as mebendazole, and is recommended for children 3-11 months old. Albendazole: This is an effective medicine for roundworms but not available in some countries. What do dog roundworms look like? Usually, it looks like noddles and earthworms but usually colored. This is what roundworms in puppies poop looks like. Here is some home remedy dog dewormer you can use for your dog roundworm. Garlic: for a 30lb dog, use 1 clove raw, either chopped or minced, then mix it the dog’s raw food. Grapefruit Seed Extract: for 10lb dog, add 5-10 drops in dogs raw food and mix together. Also, you can mix crushed grapefruit in dogs food. Do this daily. Diatomaceous Earth Food grade: Use a ½ teaspoon for small dogs, use 2 teaspoons for medium dogs just under 50 lbs, use 1 tablespoon for large dogs above 50 lbs. Black Walnut Hulls: 1 drop a day for 2 weeks. Ground Cloves: Use a ¼ clove for small and medium dogs, and 1 clove for larger dogs a day, continue for 2 weeks. Goldenseal: Mix 1 – 3 drops a day with dog food. 2 How do dogs get roundworms? 6 Are dog roundworms contagious to humans? 7 Can roundworms kill a dog? 8 How to get rid of dog roundworm? 10 What do dog roundworms look like?